Playing with Papercrafting: Beautiful Peacock for As You See It Challenges and a Frustrating Day! Beautiful Peacock for As You See It Challenges and a Frustrating Day! Have you ever had one of those days? Where nothing goes right? Where everything in the universe seems to conspire against you? Well, yesterday was one of those days for me! First let me just tell you that, as I write this, it is currently 12:52 am! I am pretty much at the end of my rope and my patience! 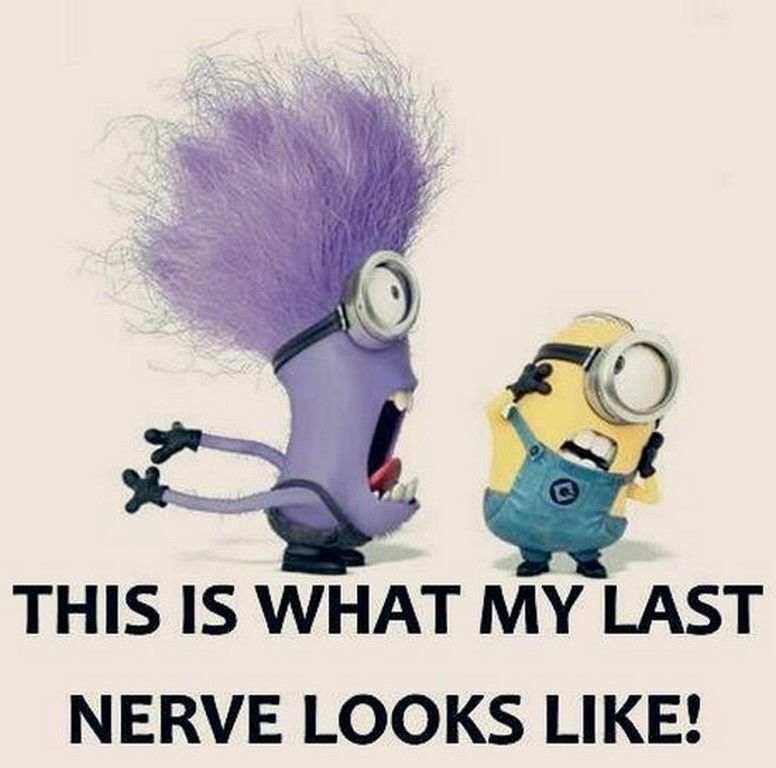 I have one nerve left and my computer is getting on it big time! First, my photo editing program was running at about snail speed or less, then my blogger platform wouldn't upload photos and that's just the end of the day problems! I had to go to the dentist today just after lunch. It was snowing like crazy and we were running late. (I should mention that we had ricotta and spinach ravioli, but as soon as I do, you'll know where this is going!) I brushed my teeth, (I'm sure I must have looked in the mirror when I did it.) and headed out the door. When I got home again with a brand new crown, I opened my mouth to inspect it, and there, right on my front tooth, in all its glory, was a big piece of spinach! The dental assistant would have mentioned it, right? Would she have let me sit there with a big piece of spinach on my tooth the whole time without saying anything? Oh, the embarrassment!! Isn't that a great one? It's really not too difficult to come up with elements to fit this sketch and it leaves you lots of leeway for your own creativity. You can use your own shapes in place of the ones in the sketch, as long as the team can discern the original design from it. 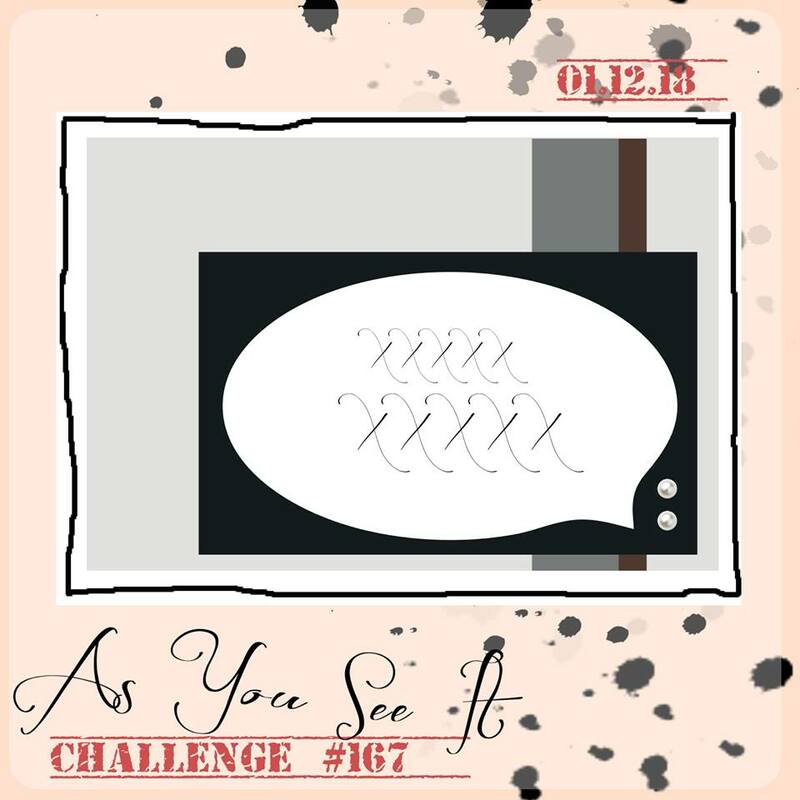 Pop on over to the As You See It Challenge Blog to see how the other members of the Design Team have interpreted it. This peacock is so elegant with such flowing lines to it. I love how it looks, but it was tricky fitting it all onto one die cut shape for the challenge. I redid it a couple of times! This is a perfect stamp set to use with the Stamparatus! I stamped the fan tail first in Bermuda Bay ink and then placed the uninked peacock body right on the image in the exact place I wanted it to be. I picked up the stamp with the other plate and inked it up with Night of Navy. When I stamped it, it was perfectly aligned with the fan tail! I LOVE my Stamparatus. There have been a couple of issues with full coverage near the hinges, but I have found you can easily overcome that by being careful where you place your magnets, so they don't hinder the stamping, and by adding a Silicon Craft Sheet on top of the foam mat that comes with the Stamparatus. The magnets hold just as tight, but it adds just enough thickness to overcome the problem with the hinges. I found some perfect DSP to use, namely the Bermuda Bay bubbles from Myths & Magic Specialty Designer Series Paper. The bubbles are actually coated with a sparkly kind of see-through acrylic-like finish, which is very effective, although you can only catch a wee bit of the sparkle on camera. The other is a Night of Navy design from the Naturally Eclectic DSP. The peacock is die cut using one of the Lots of Labels framelits and popped up on Dimensionals and I've added some Rhinestone Basic Jewels and some Clear Faceted Gems for added bling. My customers are getting into the full swing of Sale-A-Bration and loving it! The SAB rewards are extremely popular this year and everyone I've talked to has more than one favourite and has a very hard time making decisions when they've earned one. They know that they're going to want to earn more in the next two and a half months. 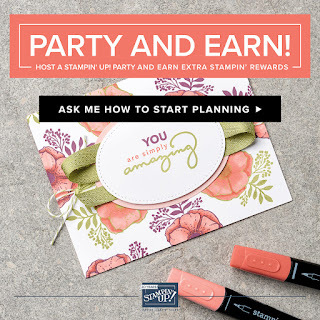 Earn free products from Stampin' Up! by spending $60 or $120 or more on any on order. Check your Sale-A-Bration Brochure to find out what is available. How about that peacock, or those pandas, or that fun DSP or the gorgeous die cut words? And if you earn at least one SAB reward during Sale-A-Bration, you will be eligible to receive an exclusive invite to my Celebrate Sale-A-Bration Party in April, an event known for the fun, food, games and prizes! Can you believe that my last host, during Sale-A-Bration, won $125 worth of Stampin' Rewards plus a 1/2 price item? 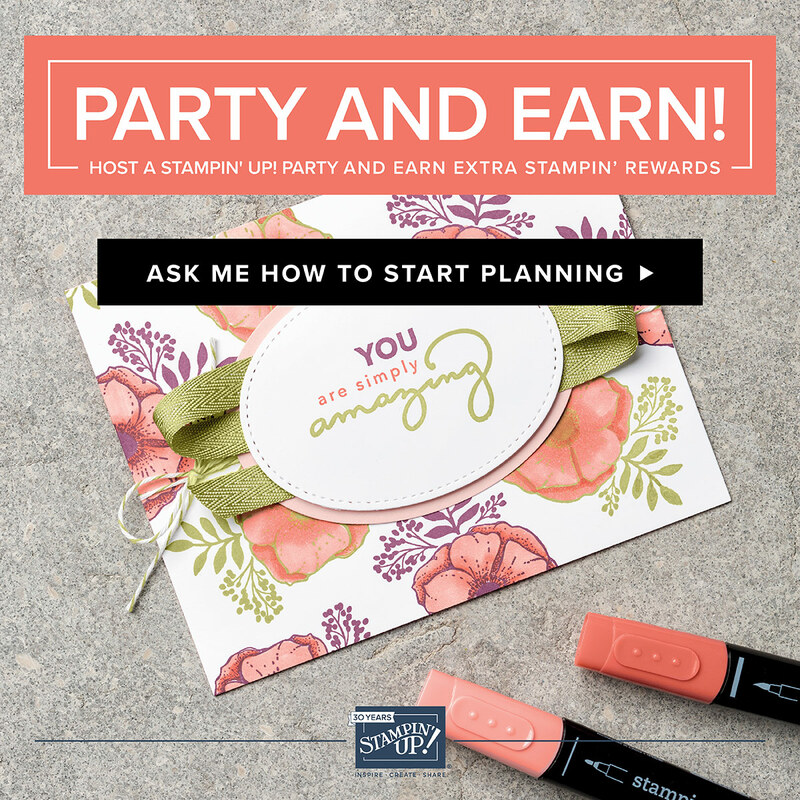 The rewards are great when you're a host, and Stampin' Up! throws in an extra $35 worth of rewards for qualifying orders! Call me to see what kind of event you'd like to host. There's one that will suit you! And I've already had new team members join my Papercraft Cat team! 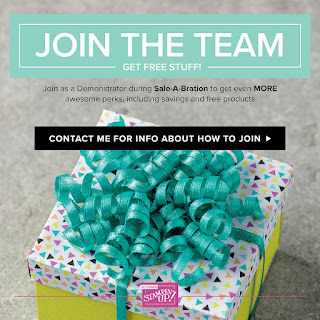 They were so excited about the awesome deal that the Starter Kit is during Sale-A-Bration! It's a great way to add to your stamping collection and save! First of all, it's free shipping! Second, you get the normal good deal of $165 worth of your choice of current products for only $135. And on top of that, Stampin' Up! 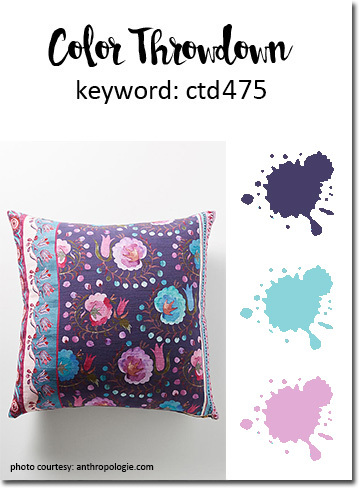 throws in two free stamp sets, of ANY PRICE! That could mean up to an extra $132 worth of stamps! Wowzers! Now, add to that a 20% discount on your products for as long as you can keep your demonstrator status, which would be at least 6 1/2 months if you join now, and the chance to see and order from the new Annual Catalogue before the general public!! And the bonus is the great friends you are going to make as you get to know others on the team! If you live in Canada, and you don't have a Stampin' Up! Demonstrator, I'd love to help you with your Stampin' Up! crafting needs! Send me a quick text at 250-768-7379 or email me. That's a wrap! Have a great weekend! I'm going to go find the rest of my nerves!